A recent blog post from Brewery Ommegang stated the “exciting and delicious news” that the brewery plans to debut “at least eight brand new beers next year,” with two seasonals, two Brewmasters Obsessions, two Game of Thrones additions and two limited release brews ready to roll out in 2016. The eight new beers include the Great Beyond Double IPA, Hopstate NY (limited distribution in New York only), Shadow Brewer Imperial Stout, Gnomegeddon, Game of Thrones Spring Release, Game of Thrones Fall Release, Hennepin Hop Explorer: Montueka and Hennepin Hop Explorer: Hop TBD. 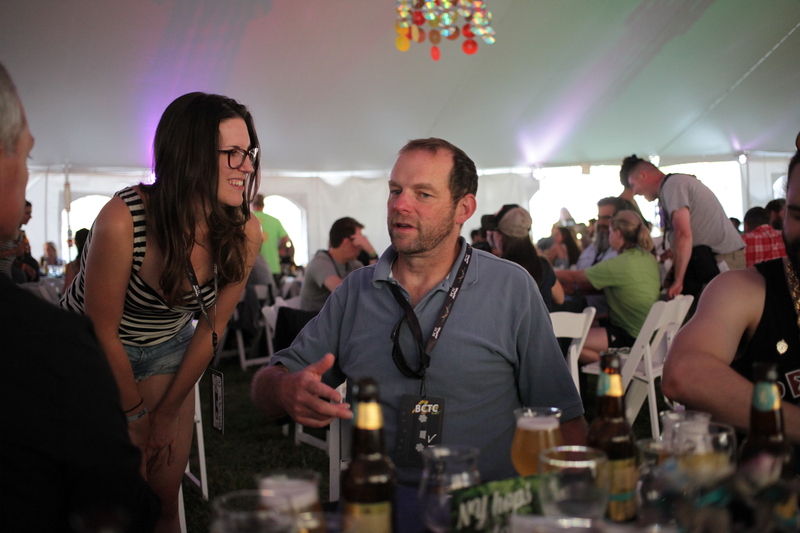 Talking with Phil Leinhart at the Belgium Comes to Cooperstown VIP dinner, Aug. 7, 2015. The new brands showcase Ommegang’s recent shift toward American-style craft beers, with at least three IPAs and one locally hopped pale ale slated to hit shelves throughout the year. 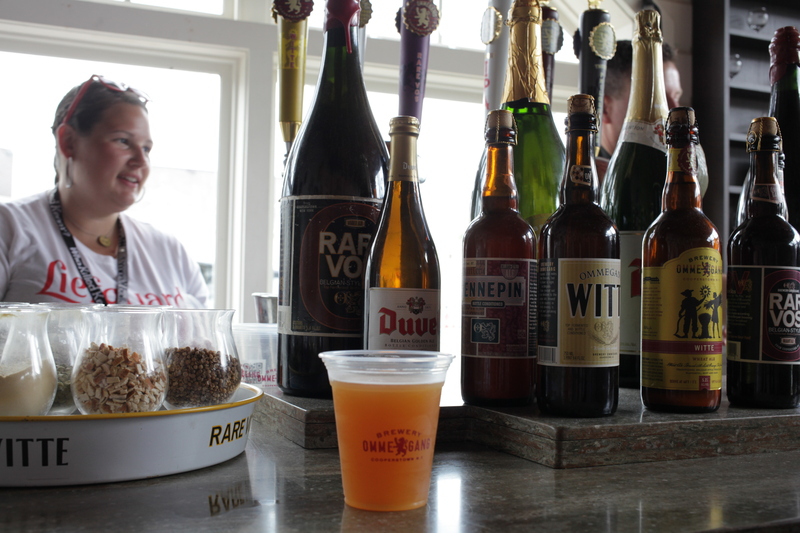 Previously, Brewery Ommegang has adhered more closely to its original mission: to create Belgian-style ales for the U.S. market. A perfect pint of Hopstate NY in the Brewery Ommegang tasting room. Likewise, brewery innovation manager, Mike McManus is optimistic about Ommegang’s experimentation with more hop-forward ales, especially regarding the Hopstate NY American Pale ALe, brewed with all-New York State grown hops. “My hope is that the beer is able to grow and evolve with the NYS hop industry—in terms of what flavors are possible and how much volume we can consistently produce. I think it would be fun to change up the style each year as well,” McManus said. I’m certainly looking forward to more hop-forward ales and locally sourced ingredients from one of my favorite breweries. To keep up with Ommegang’s news on their 2016 releases, check for updates on the company blog. To learn more about how Brewery Ommegang, New York State Farm Breweries and farmers throughout the region are starting to bring hops back to the East Coast, read my recent report in Civil Eats.